The books below are books recommended by NeuropsychologySA and sold in South African Rands using a Loot affiliation. For each purchase, Neuropsychology receives a small portion of the fee, for the purposes of further research in neuropsychology in South Africa. This book sheds new light on child neuropsychology and includes information on: child brain development; genetics in learning disabilities; brain plasticity; neuroimaging in child and adolescent psychiatric disorders; the concept and development of general intellectual ability; language development in children; visuospatial and visuomotor development; memory in children; the development of attention in children; the development of executive functions; developmental dyscalculia; applications of neuropsychology in schools and a clinician’s guide to child neuropsychological assessment and formulation. This book is widely used among experts of neuropsychology in South Africa. It describes a wide range of neuropsychological tests (some that need to be purchased and some that are freely available), along with the relevant validity and reliability studies and norms. 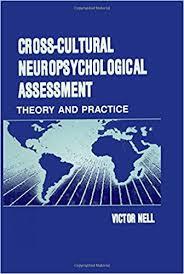 This is an internationally well-known book on cross-cultural neuropsychology written by Victor Nell who is considered my many as the father of cross-cultural neuropsychology in South Africa and possibly even globally. Published in 2000, it is still considered by many to be a main reference and is relevant for all neuropsychologists who are called upon to assess culturally different clients. With full colour illustrations and clear explanations, the authors of this book cover an extraordinary amount of recent research. 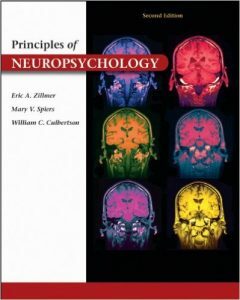 For any student or professional wishing to further their knowledge of neuropsychology, this book can be considered one of the most important. 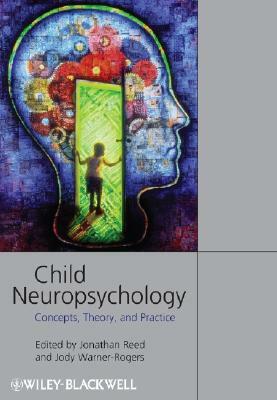 This book on child neuropsychology is highly recommended and covers the following topics: the development of the brain from conception to adulthood; functional neuroanatomy for paediatric neuropsychologists (including brain plasticity); the neuropsychological assessment of newborns, infants and toddlers; assessment of pre-morbid functioning in the paediatric population; measurement of attention, executive functions, visuo-spatial, memory and other cognitive functions; assessing diverse populations with non-verbal tests; writing paediatric neuropsychological reports; sport neuropsychology for children and neuropsychology in schools. 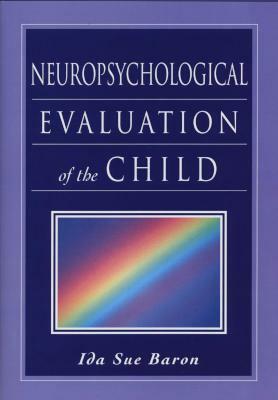 The book also has chapters on various paediatric neuropsychological disorders, including: Pervasive Developmental Disorders; Attention-Deficit/Hyperactivity Disorder; Conduct Disorder and Oppositional Defiant Disorder; Developmental Dyspraxia and Developmental Coordination Disorder; Pediatric Tic Disorders; Eating Disorders; Pediatric Anxiety Disorders; Mood Disorders of Childhood and Adolescence; Dyslexia; Dyscalculia; Written Language Disorders; Receptive and Expressive Language Disorders in Childhood; Auditory Processing Disorders; Nonverbal Learning Disabilities; Perinatal Complications; Long-Term Outcome Following Preterm Birth; Down Syndrome; Pediatric HIV/AIDS; Fetal Alcohol Spectrum Disorders; Central Nervous System Cancers; Sleep Disorders in children; Pediatric Headache; Seizure Disorders; Substance Abuse; Toxic Exposures and Traumatic Brain Injury in Children and Adolescents. I this book, Oliver Sacks gives an accounts of a time when he injured his leg while climbing a mountain. 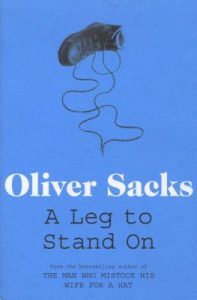 The injury itself was severe, but straightforward to fix; the psychological effects, however, were far less easy to predict, explain, or resolve: Sacks experienced paralysis and an inability to perceive his leg as his own, instead seeing it as some kind of alien and inanimate object, over which he had no control. This book has been described by the Observer as, “intensely personal, and affirms the community of human experience”. This classic book from Oliver Sacks is a must-read for any person interested in neuropsychology. Through his sensitive yet at times humerous accounts of his neurology patients and their experiences, one learns about neurology and neuropsychology without even realising that you are learning. Oliver Sacks describes the effects and perception of music in our brains by exploring some conditions where patients and non-patients have some extraordinary musical experiences. These include a man who was struck by lightning who was suddenly inspired to become a pianist at the age of forty-two; a group of children with Williams syndrome who are hypermusical from birth; people with “amusia,” to whom a symphony sounds like the clattering of pots and pans and a man whose memory spans only seven seconds–for everything but music. He also explores how catchy tunes can replay in our minds for hours, and how a surprising number of people acquire nonstop musical hallucinations that constantly assault them. He also describes how music can help people with Parkinson’s disease to move, can give words to stroke patients who cannot otherwise speak, and can calm and organise people whose memories are ravaged by Alzheimer’s or amnesia. This book is probably the most recommended neuropsychology book in South Africa. It is now in its Fifth Edition. It reviews the major neurobehavioral disorders associated with brain dysfunction and injury and provides a comprehensive coverage of the field of adult clinical neuropsychology, a broad- based and in-depth coverage of current neuroscience research and clinical neuropsychology practice. This edition includes new tools for clinicians such as a neuroimaging primer and a comparison table of the neuropsychological features of progressive dementias. The chapters on assessment procedures include discussion of issues related to test selection and reviews of recently published as well as older test batteries used in general neuropsychological assessment, plus newly developed batteries for specific issues. This is a popular book among South African experts in neuropsychology who assess children, as it gives some norms on neuropsychological tests for children that are not easily found elsewhere. It also integrates concepts and models central to the neuropsychological assessment of children into the discussions of the normative data. All these discussions have a practical, clinical focus. Often prescribed as a text book at Honours level at universities in South Africa, this progressive and accessible text teaches brain function in a clear and interesting manner. Five areas are focused on: experimental and clinical human neuropsychology, integration of theory and research, coverage of the relationship between neuroscience and behavioral function, real-life examples, and the presentation of didactic aids. Chapter sections include, “Introduction”, “The Functioning Brain” and “Disorders of the Brain”. Chapter headings include: “Functional neuroanatomy”, Cerebral specialization”, “Somatosensory, chemical and motor systems”, “Vision and Language”, “Memory, Attention, Emotion and Executive Functioning”, “Developmental disorders of childhood”, “Learning and neuropsychiatric disorders in childhood”, “Cerebrovascular disorders and tumors”, “Traumatic head injury and rehabilitation”, “Normal ageing and dementia: Alzheimer’s Disease”, “Subcortical dementias” and “Alteration of consciousness”. 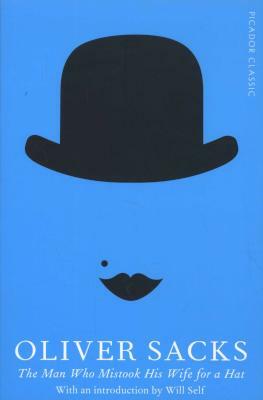 This book covers some fascinating neuropsychological cases: a man who can see perfectly, but can no longer recognise faces, even his own reflection in a mirror; a woman who, when she touches a particular texture, experiences a vivid emotion (e.g. denim equates with extreme sadness and wax with embarrassment); a man whose left arm was recently amputated, can still feel it as it it itchy, and more. Dr V. S. Ramachandran, one of the world’s leading neuroscientists, who has spent a lifetime working with patients who suffer from rare and baffling brain conditions, tells some of their stories, and explores what they reveal about the greatest mystery of them all: how our minds work, and what makes each of us so uniquely human. This book helps with report-writing, especially the wording of some parts that are difficult to write, such as if it is suspects that someone has given suboptimal performance with tests. It provides information, guidelines, and materials to help neuropsychology supervisees and well as practitioners identify, understand, and avoid some problems and pitfalls. Also included are a neuropsychological questionnairse, short- and long-report formats, and sample statements that can be used to help with wording sections of the report that are particularly challenging to write.